With their long-term successful business plan, power projects in the pipeline, freeing up assets for more investments, along with funds growing around 7% a year since 2012, Brookfield Renewable Partners LP seems like a pretty solid stock worth looking into. 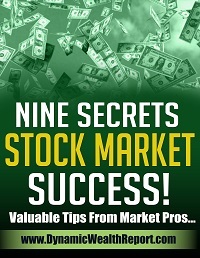 There’s a good chance you’ll find a medical drug stock somewhere on a list when talking about stocks worth looking at. This time around, it’s Celgene. The company sells drugs that combat against cancer and autoimmune diseases (Revlimid is their best seller). Celgene is confident that they’ll be able to boost their sales with rates into the teens, all the way through 2021. That’s promising news. In 2017, Celgene took a few embarrassing hits to their stock as they pulled out of two Crohn’s disease studies that they fronted over $700 million for, and saw a weak performance in one of their popular drugs. However, they are gearing up for launching new products this year and 2020. With that type of buzz, now is a good time to invest in the company. Our last stock to mention is the Alabama-based company, Computer Programs and Systems. It provides hospitals with software to help with their electronic health records to keep everything accurate and compliant. The company is within a niche that has tons of growth potential. CPS has shown to have high growth potential with strong earnings outlook. It’s a micro-cap company with a market value of about $373 million. There seems to be a decent amount of momentum with this company, making it a stock worth watching. Note: This article originally appeared at Modest Money. The author of the article is Jeremy Biberdorf. Jeremy is the founder of Modest Money. After working many years in the website marketing industry, he decided to take on blogging full time and also get his finances headed in the right direction.